Footage of an orangutan smoking a cigarette at an Indonesian zoo went viral. People were outraged and called on the zoo to shut down. International anger has focused on an Indonesian zoo after a video of an orangutan smoking a cigarette in its habitat went viral. 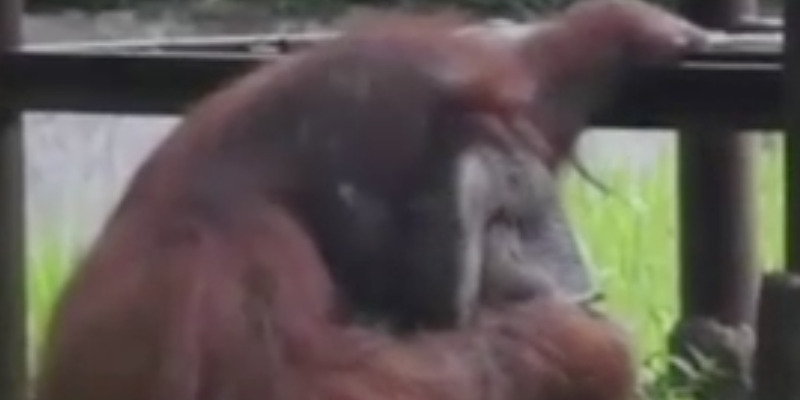 ABC News reported that the viral video was shot Sunday at Indonesia’s Bandung Zoo. The video showed a man tossing a lit cigarette into the habitat, where it was promptly picked up by the large orangutan, a 22-year-old named Odon, and smoked. Animal-rights activists blasted the zoo, which was previously accused of starving bears, for a lack of supervision, ABC News reported. About 1 million people signed up for a Change.org petition to shut down the zoo after the incident. The zoo said in a statement that it regretted the incident.